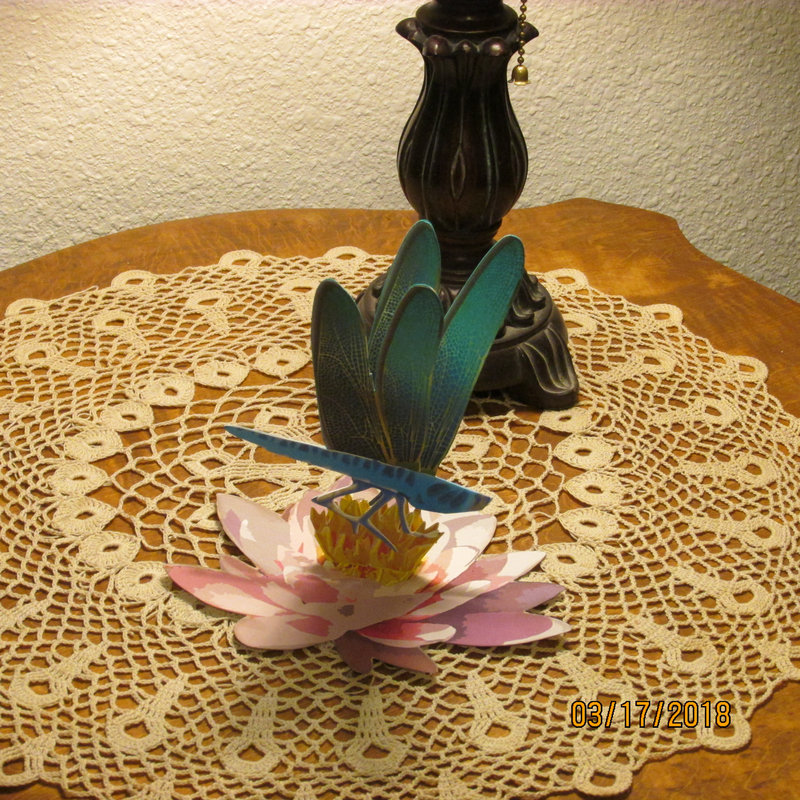 Everyone is doing dragonflies this spring. Here is my version. Would love to see what others are making. I think that is delightful. Love the crochet mat as well. Lovely, I love the free standing dragonfly popup.